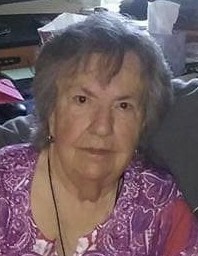 Noella L. (Lemieux) Gariepy, 82, of Woonsocket, died February 8, 2019 in The Friendly Home, Woonsocket. She was the wife of the late Conrad Gariepy. Born in Lewiston, ME, she was the daughter of the late Joseph and Lea (Turgeon) Lemieux. Noella enjoyed playing computer games, cards and coloring. She also loved to spend time with her grandchildren and great-grandchildren. She is survived by three children, Claudette LeBlond and her husband Paul, Margaret Berube and her husband William, and Conrad Gariepy, Jr. and his wife Crystal, all of Woonsocket; and one sister, Angeline Milot of Clearwater, FL; as well as fourteen grandchildren and twenty-seven great-grandchildren. Visitation will be held on Friday, February 15, 2019 from 6 – 8 PM in the Holt Funeral Home, 510 South Main St., Woonsocket.